I love Halloween and I love making easy Halloween crafts! 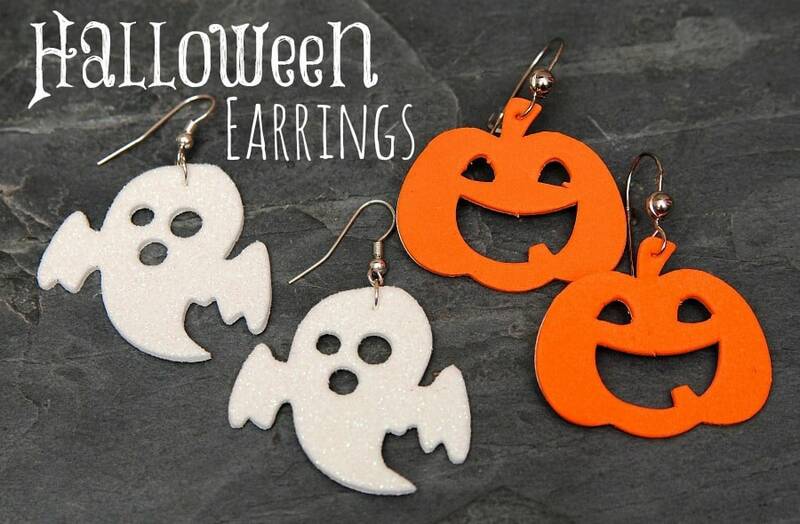 Today I’m sharing these quick and easy Halloween earrings I made. And the best part – you only need 4 things to make them. The best part – they are super easy to make! Supplies needed: foam shapes, jump rings, earring hooks, and pliers. Directions: Poke a hole at the top of the foam shape (I used the earring hook to make my hole). Use the pliers to open the jump ring and put through the hole. Add your earring hok to the jump ring and close with the pliers. I found the Halloween foam shapes in the dollar section of Target – Woohoo! Can’t beat Target’s dollar section. I already had the earring hooks and jump rings so I made these earring for $1 plus I have tons of shapes left over to make more. You can’t really tell in the picture but the ghosts have glitter on them which makes them my favorite. I think the pumpkins are cute too and I still want to make a pair of purple bat earrings. I can’t wait to wear my Halloween earrings all through October and make some for my students. I think they will love them! I’m a HUGE fan of fast and easy jewelry – I love how simple these are to make! And so inexpensive to give as fun little “just because” gifts to friends! Soo cute! Love the earrings. You’re right, they are so easy to make! these would be perfect for halloween(: Just in time!